Our Gift Vouchers are purchased through the shopping cart just like any other item in our store. The Gift Vouchers come in denominations of £5, £10, £20, £30, £50 and £100. You can pay for them using the store’s standard payment methods. The face amount of the Gift Voucher includes VAT at the prevailing rate. Once the Gift Voucher is paid for we will e-mail you a discount code for each voucher. This discount code is a unique code that relates to the individual Gift Voucher. It allows the value of the Gift Voucher to be subtracted form the invoice value. Gift Vouchers are single use, so cannot be re-used. The gift voucher is redeemed during the checkout process. To redeem your Gift Voucher enter the discount code into the discount code field in the checkout. This will subtract the amount of the voucher from the order. 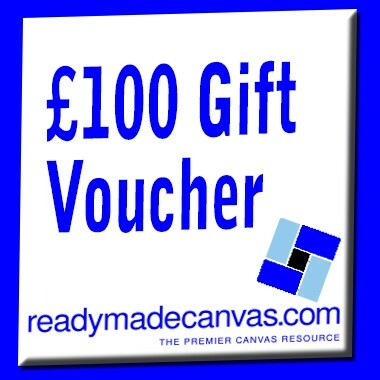 Please note that redeemed voucher amounts in excess of the total invoice amounts cannot be refunded by Readymadecanvas.